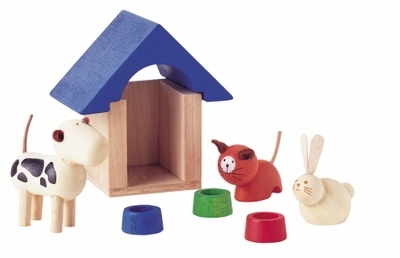 This set includes a dog house, dog, cat, rabbit and three food bowls. Made of rubber wood. Dog house measures 3" x 3.2" x 2".